The emergence of non-traditional qualifications – also know as alternative credentials – has changed the higher education landscape in recent years, impacting curriculum delivery and posing a challenge to traditional institutional business models. Yet what are these alternative credentials, and how are they being used? What are the downstream implications for students and institutions? According to Dr Michelle Weise, a leading expert on disruptive innovation in higher education, alternatives to the traditional full-time, on-campus, four-year degree programme are growing. “Fewer and fewer students can afford that option,” she says. It is this focus on flexibility and employability that distinguishes alternative credentials from traditional forms of education. For Dr Weise, lifelong learning will soon become the new norm, requiring students to work during their studies and to constantly learn new skills to keep up with the demands of a changing job market. Students of tomorrow, she predicts, will design their own curricula and pair it with paid work, internships, opportunities abroad, certificates, and mini degrees obtained online or from niche providers. “Part of the disjunction is that we have a system that is very linear and insular – one that punishes students who get off-track at any point. Non-traditional students need much more flexibility in terms of what the college experience offers to them. The thing that’s missing in higher education is a way to integrate the idea that there is more to upward mobility than a degree,” she says. For Dr Weise, certificates or alternative credentials provide a better indication of whether someone has acquired specific skills, which explains why there has been a shift towards competency-based education with measurable outcomes. And while many of what she calls the “elite brands” of higher education are resisting the shift, others are taking note. The Massachusetts Institute of Technology (MIT), for example, released a report in 2014 aimed at exploring the future of education. The report acknowledges the need for increased flexibility in completing a degree and implies steps must be taken to increase accessibility in general. In the future, says the report, “the very notion of a ‘class’ may be outdated.” Instead, education downstream may involve a variety of certifications, minors, and alternative credentials, instead of a traditional four-year degree. For more traditional students, the future degree may involve multiple Massive Open Online Courses (MOOCs) or community college courses, with a subsequent focus on experiential learning. All of these changes, Dr Weise suggests, are driven by a demand for economic relevance. Elite brands will compete with niche or alternative providers who are able to solve what she sees as essentially a “human capital” problem – matching the skills of graduates with the evolving needs of the job market. 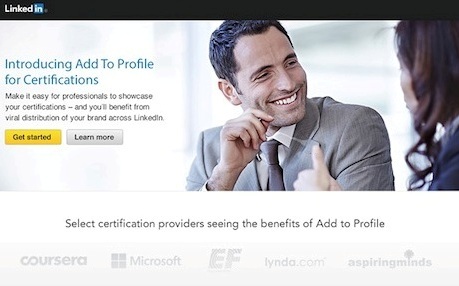 Recognising that prospective employers are seeking specific, demonstrable skills, LinkedIn recently launched its Add to Profile for Certifications feature. Dan Shapero, senior product manager at LinkedIn, sees great value to both employers and job seekers in highlighting alternative credentials on the LinkedIn platform. A recent article in The Chronicle of Higher Education summarised some of the discussions on alternative credentials at the 2015 SXSWedu conference. There was agreement that alternative features like digital badges would become an important new currency for signaling personal achievement. Matthew Sigelman, chief executive of Burning Glass, a company that analyses job advertisements, said digital data was making it easier to see the nuances of job markets, such as the fact that certain skills are more valued in particular locations. Certain sectors – namely IT and gaming – have been leading the charge to develop alternative credentials and pathways. Skill badges are making their biggest inroads in the IT world, according to a recent article in Education Dive. Employers seeking job candidates with technical skills are interested in such easy-to-verify credentials. 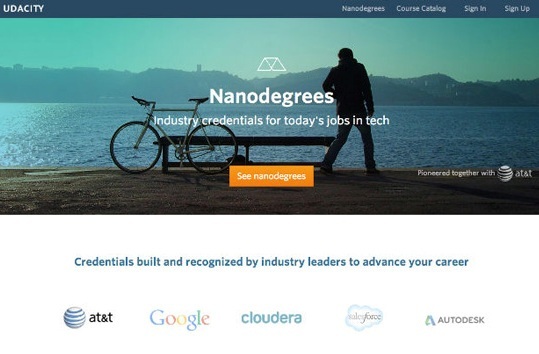 Udacity, for example, now offers “nanodegree” programmes that are gaining support from companies such as Google and AT&T. Other types of alternative credentials include “verified certificates” – essentially verifying the identity of someone who has taken a course from one of the major MOOC providers – and “course sequences,” which are pathways of three to nine courses on a specific topic. They act as MOOC versions of professional certificates that may require a capstone project to complete. Programmes such as “coder boot camps” have also become popular as a means of preparing students – in merely a manner of weeks – into job-ready web developers through intensive coursework and training. There are now more than 50 such programmes in the US and around the world, taking in an estimated US$73 million in tuition since 2011. The top programmes claim to place the vast majority of their graduates into jobs earning just under six figures, filling a need for practical, hands-on skills that traditional college programmes aren’t able to deliver. Coder camps are poised to grow significantly in the coming years by offering a new business model for for-profit vocational education. Indeed, one of the world’s largest education companies, Kaplan, recently purchased Dev Bootcamp. Despite these challenges, alternative credentials are big business. “There’s a US$500 billion industry within post-secondary instruction that deals with alternative marketable credentials, industry certifications, apprenticeships, and professional certifications,” notes Dr Weise. She says institutions can start exploring options by potentially partnering with employers and building competency-based career pathways for students that don’t necessarily end in a traditional credential or degree. This entry was posted in Africa, Asia, Australia/Oceania, Europe, Higher Education, Middle East, Most Popular, North America, Online Learning, Regions, South & Central America, United States, Youth Trends and tagged youth employment, online learning, undergraduate student recruitment, international students, nontraditional students.